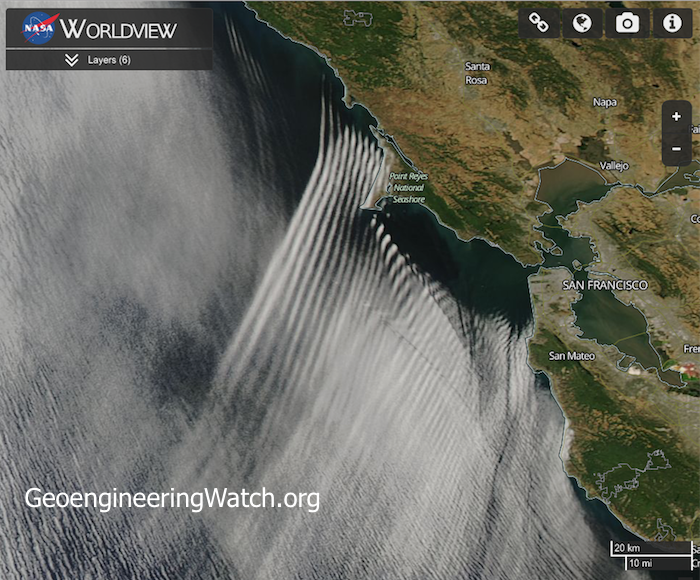 Highly toxic heavy metals and chemicals that are systematically sprayed into our atmosphere from jet aircraft as part of the geoengineering / solar radiation management (SRM) programs, are manipulated with extremely powerful radio frequency signals. These signals are transmitted from countless locations around the globe from various types of transmission platforms (ionosphere heater installations like HAARP, SBX radar, NEXRAD, etc.). 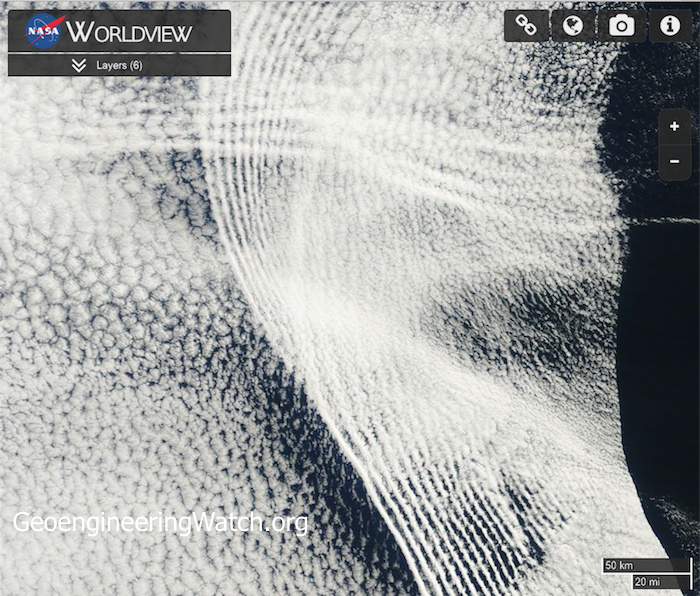 The impact of the microwave transmissions on cloud formations is profound and highly visible (square cloud formations are created under some scenarios). 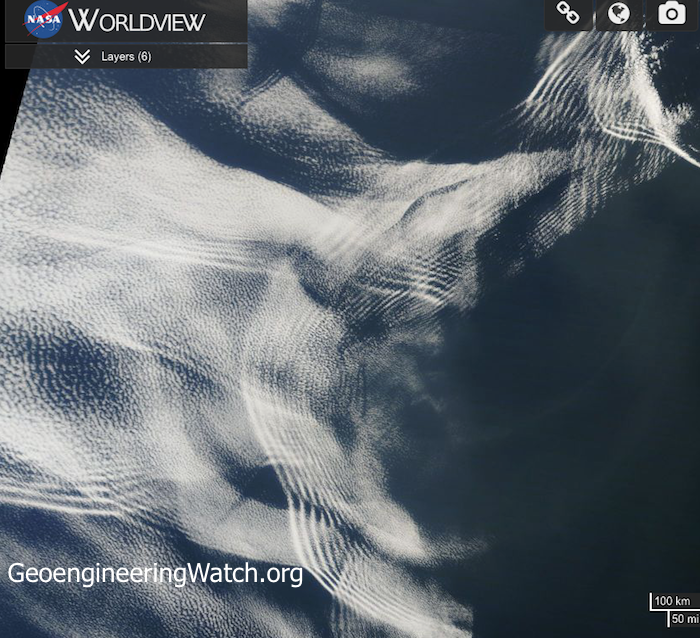 In the series of NASA satellite images below, many variances of radio frequency cloud impacts can be observed. 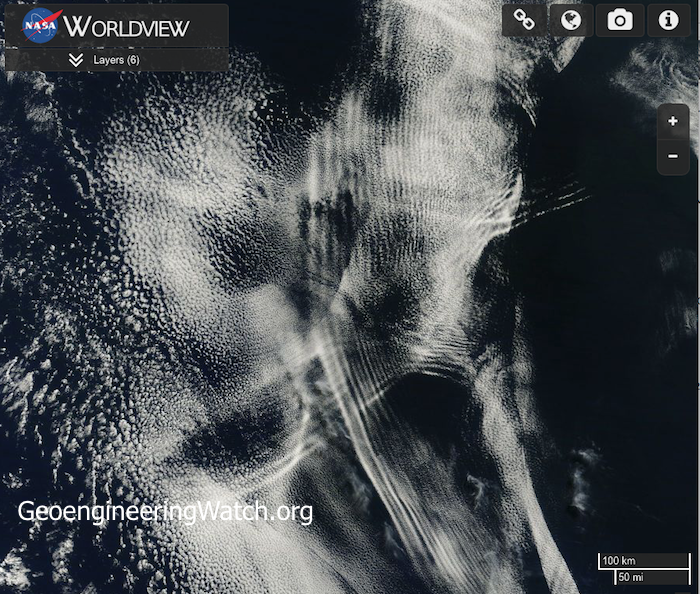 The degree to which the ongoing climate engineering/climate/intervention/weather warfare is disrupting Earth’s atmosphere and life support systems is already beyond catastrophic and rapidly escalating all over the globe. 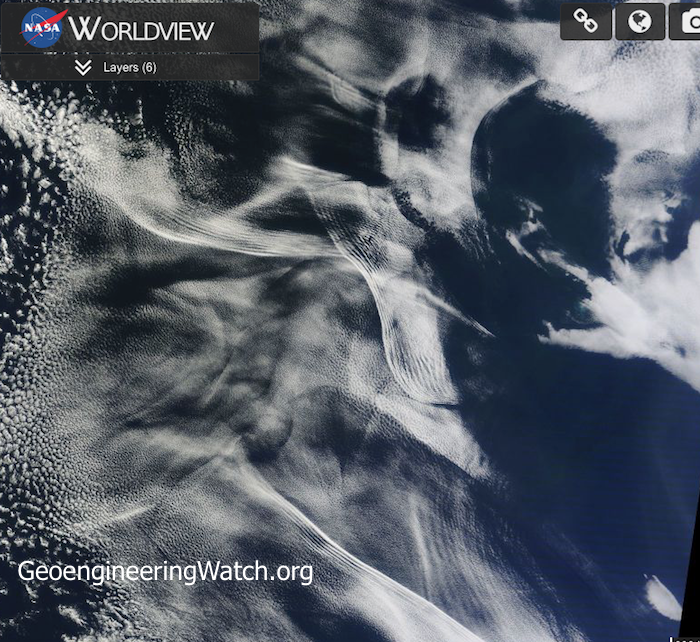 Hurricane suppression/manipulation is one aspect/agenda of the climate engineers. 85% of the hurricanes that impact the US originate from Africa. Low pressure systems migrate toward the west, off of Africa’s coast. 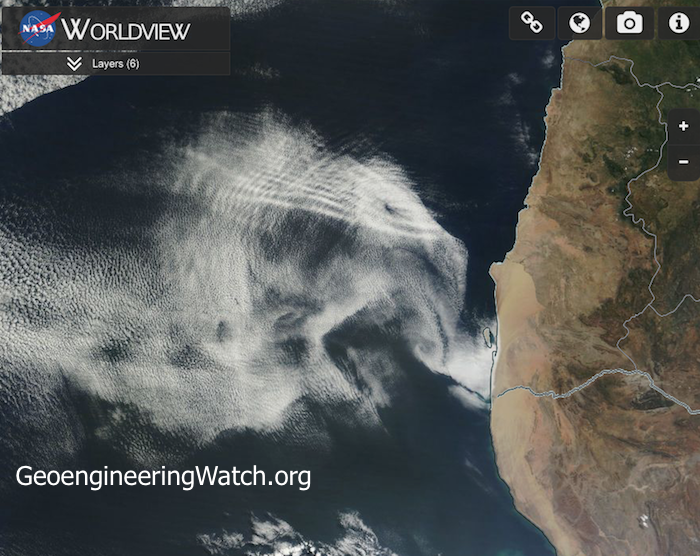 A great deal of climate engineering/intervention takes place in this region, thus a number of the satellite images shown in this post were captured there. 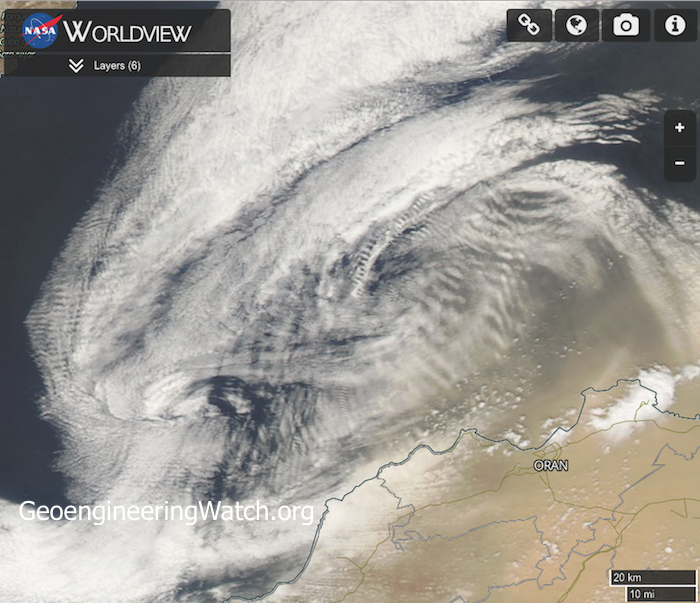 In the attempt to mask the climate intervention activity, the cyclone suppression occurring off the coast of Africa is officially blamed on “dust”. 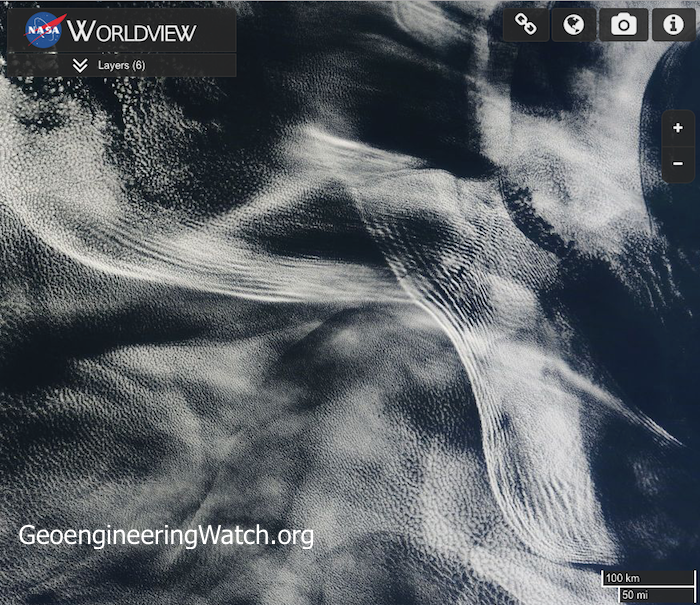 Of course there is no acknowledgement of the ongoing climate engineering atrocities. The quote below is an excerpt from a FOX news article. Right now, much of the Gulf of Mexico and parts of the Caribbean have slightly warmer than normal ocean temperatures which would normally aid in tropical development. But there is so much dust and dry air in the atmosphere that storms are getting choked off before they even get started. Though some may feel that cyclone suppression is beneficial, such interference with Earth’s natural rhythms and systems has a long list of catastrophic downstream effects. 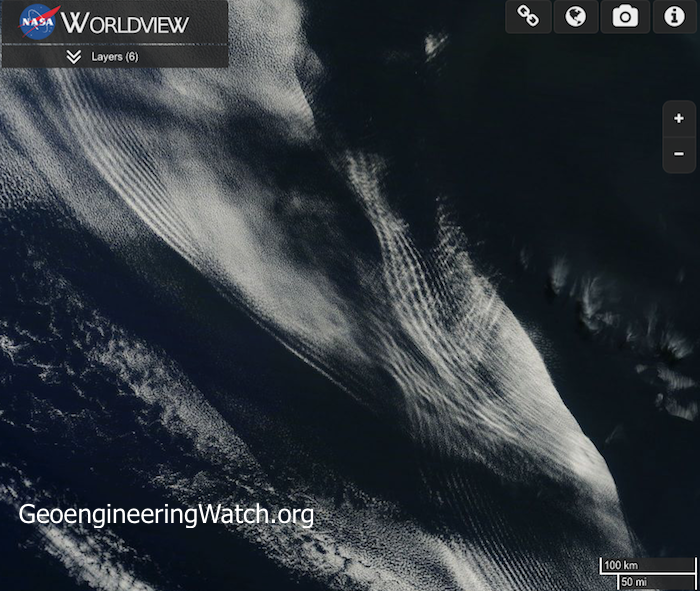 Available data indicates that in other scenarios the climate engineers are actually augmenting and steering cyclones to serve their own agenda. 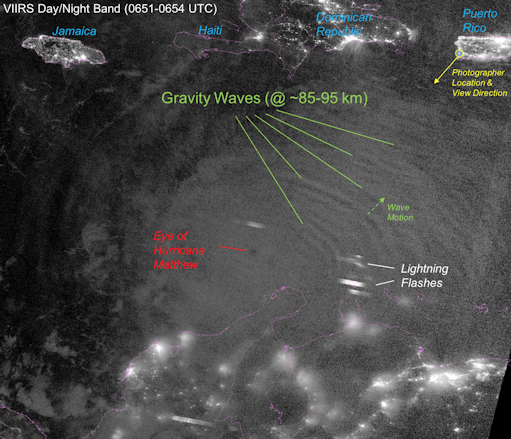 “Hurricane Matthew” may be an example of weather warfare on an unimaginable scale. Is hurricane Matthew being heavily manipulated and steered by the climate engineers? The evidence continues to stack up. Below is a satellite photo clearly showing atmospheric “waves” surrounding hurricane Matthew. 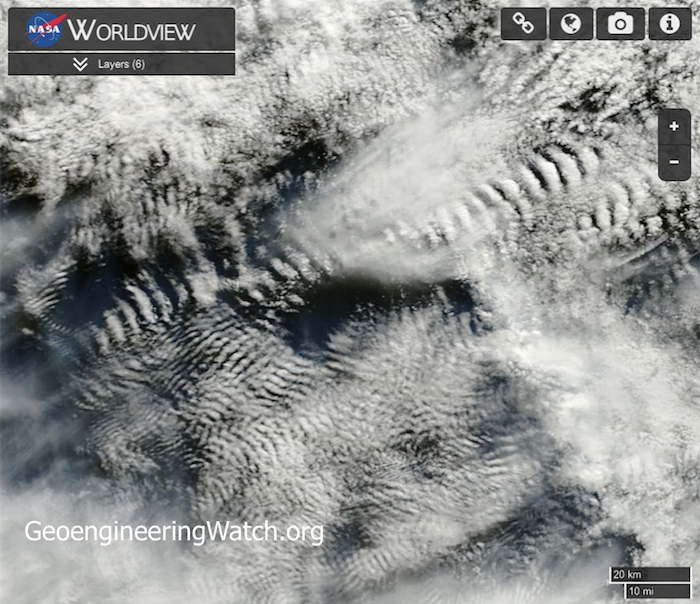 SpaceWeather.com has labeled these as “gravity waves”, but is that what these visible “waves” actually are? No. 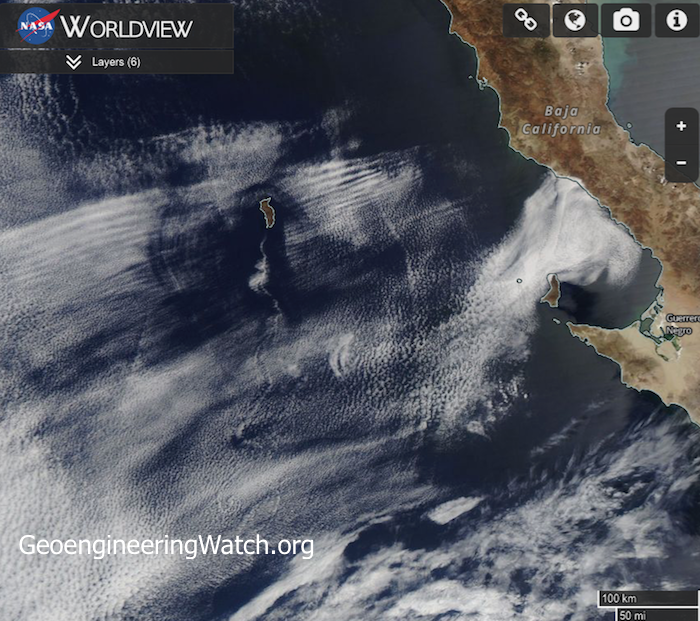 The satellite photos already shown in this post inarguably reveal heavy atmospheric manipulation from extremely powerful radio frequency/microwave transmissions and atmospheric aerosols. 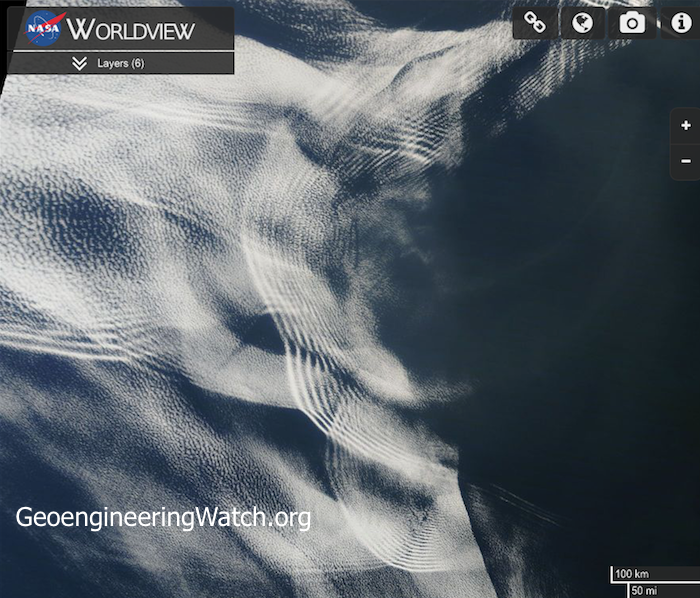 These transmissions leave a signature pattern on high level cloud formations that are saturated with electrically conductive heavy metal nanoparticles which are dispersed from jet aircraft as part of the ongoing climate engineering insanity. 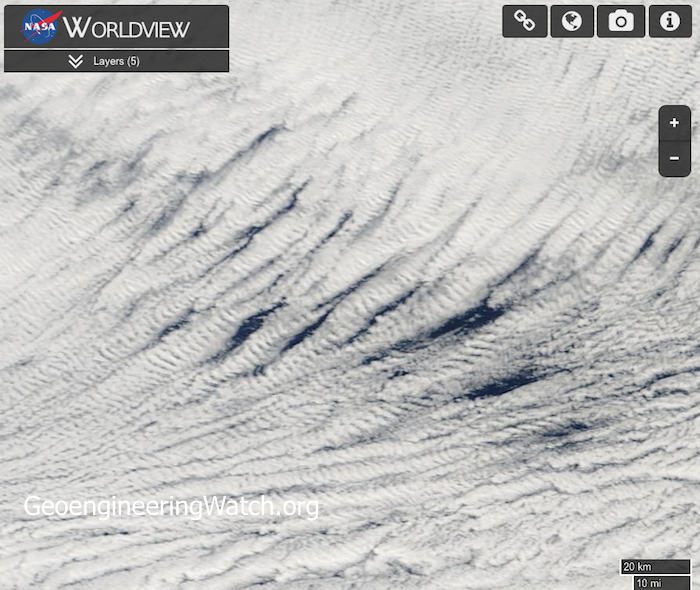 For those who want to examine the most complete climate engineering presentation from Geoengineering Watch, view the video below. The global power structure long ago made the choice to subject our planet (and the entire web of life that it supports, including the human race) to an unimaginably massive and destructive climate intervention/weather warfare assault. This decision was made without the knowledge or consent of global populations. 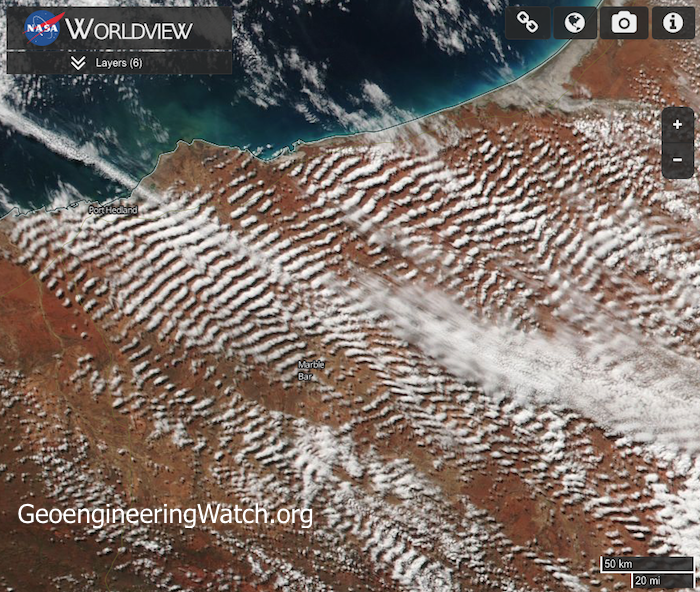 If we stand by and allow the decimation from the climate engineering insanity to continue, very soon Earth’s life support systems will be beyond any recovery. This is not speculation, but a mathematical certainty. Help us with the most critical battle to expose and halt the climate intervention/weather warfare assault, all of us are needed in this fight. Sharing credible data from a credible source is key, make your voice heard.